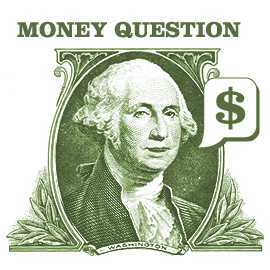 What are your investing strategies and how have you decided to allocate your money? What does your portfolio look like? I have discussed several times in the past about my portfolio, the most recent one was in April after I sold my shares of CSVFX and bought some VBR, as part of my monthly net worth update. I try not to talk too often because asset allocation of my investment is not something that needs to be reviewed every month. If I make any change, it will be in the form of rebalancing and will only happen once or twice at most a year. To answer this week’s question, I pulled out all the numbers from my taxable investment accounts and made a list of what I own and how they are doing so far. The second item is the average cost of a hypothetical portfolio with the similar weights in each asset. Frankly, I am quite happy that I didn’t pay more than 1% in expenses for the funds I own. I use Quicken to track my investments, but I don’t feel the performance (return) numbers it shows are accurate. So I can only give the best and worst performers so far in my investments. I recently adjusted my mutual fund holdings a little bit to shift a little more toward small and mid-caps. 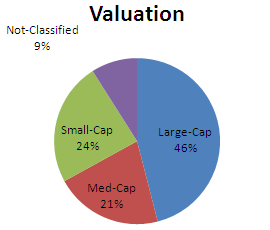 Right now the weights on large-cap and mid/small-cap are about the same at 45%. I prefer small-cap funds over large-cap funds because historical performance shows small-cap generally outperforms large-cap, not just in the short term. In addition, I am also a big fan of international equity funds, especially China funds. My investments in foreign fund are mainly in Dodge & Cox International Fund and have almost doubled in value since I started investing in it in 2003. Also, I feel lucky that I started investing in gold (Tocqueville Gold Fund) in early 2002 when the gold price as a little above $300 per ounce. Now it’s about $670 an ounce. I don’t have any bond fund in taxable accounts, though I buy I-bonds every month (I-bonds account about 5% in total investments). I feel that at my age, I can be a little aggressive with stocks. I do, however, have bonds in my IRA account. What I plan to do next are: 1) possibly switch from PowerShares ETFs to Vanguard ETFs; 2) consider international REIT investments; and 3) take a look at emerging market/foreign bonds. Have you gone deeper into why you think China Fund have a good outlook? Got any insider knowledge? Well, the first and main reason that I invest in China and like it a lot is I came from there (so I may be biased) and know it better than other outsiders (I follow Chinese news every day). I probably can’t give you any deep thoughts why I like it other than that I believe deeply the potential of that country. Things may not work in the same way as they work in this country (laws, regulations), but people and government there want to make life better and better every day. And with 1.3 billion people, even a little bit of growth can translate into a huge number. Can anybody ask for a better consumer basis? However, I feel not every sector will do well. Technology may be one of them that won’t be very exciting. Services that everybody is using, such as those related to banks, wireless, and internet, will make better choices. BTW, those plots are generated with Excel 2007, which is better than Excel 2003 that I used to use. I used once Quicken, but I don’t think it can generate charts across different accounts.